To some people, the Paleo Diet is considered to be a new diet when in fact according to Loren Cordain Ph.D.; the Paleo diet is 333 generations old. Dr. Cordain first wrote his book called The Paleo Diet in 2002. The popularity of the Paleo diet (or movement) did not really take place until about 2010. The reasons for this are many, but one of the most important facts is America’s obsession with the ‘new way’ of getting information from the internet. For years, nutritionally we sought advice from our physicians and western mind set practitioners such as RD’S. Many others visited health food stores for diet advice or went to book stores to pick up the latest article while some went to personal trainers or personal gurus. Alternative practitioners were the non-norm but today these non-norms are first place since so many individuals were not getting better using the typical American diet. The new way of getting ones information has had some promises and misses but for sure the internet has given way to getting information quick, easy and trendy. With that said, the use of the internet has sprung some ‘new’ diets into the main stream and Paleo is one of them. One of the other factors that have launched Paleo dieting into one of the biggest diet movements is Cross Fit training. Greg Glassman the founder of Cross Fit has proposed the Paleo diet as the diet of choice for the Cross Fit community. The beginning of Paleo was seen in the 1980’s with Jeffrey Bland Ph.D. writing in the alternative nutrition world. Also published in the New England Medical Journal was Dr. Boyd Eaton in 1985 now considered one of the founders of Paleo diet. The basic concept of Paleo dieting evolved with the Stone Age food idea of hunter and gather societies before farming was around. Additionally when the original diet started people were free from obesity and diabetes II for the most part. 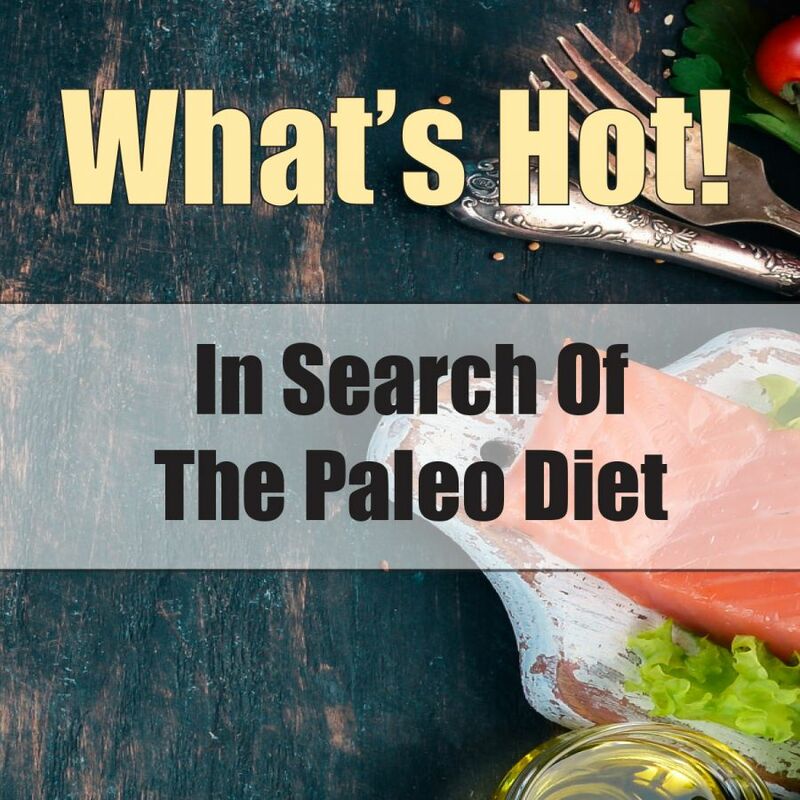 Currently, with a large part of the US population overweight and fighting for good health, middle age to elderly persons fighting heart and blood vessel diseases the Paleo diet suggest relief for many. Stone Age living is always thought of as brutal, hard living with a short life expectancy. Dr. Cordain and other anthropologist suggest this is not the true vision we should have but one of a vision of strong, fit, and vivacious European’s that showed good health and longevity. Dr. Weston Price, D.D.S., in his trips around the world during his research for the ‘perfect’ diet (circa 1920-1940) suggested that indigenous systems of foods varied greatly and had strong foundations that maintained health and longevity. Some of these peoples that survived on whale blubber, salmon, seaweed, frozen berries (stored in the frozen ground) and other types of fish had some of the most robust health and longevity with minimal to no disease(s). The bottom line for Paleo dieting is this: Whole foods are a must and junk foods are out. Paleo is typically lower in carbs and low in the glycemic index and glycemic load, has minimal refined sugars with whole foods making the bulk difference here in health. Many others are now looking to Paleo dieting for its benefits which include people with food sensitivities, PCOS (polycystic ovarian syndrome), food allergies, diabetics (II), overweight and obese individuals, fat loss, multiple sclerosis sufferers, people with nerve issues, help with digestive health, cancer recovery, acne suffers, autoimmune individuals and athletes of all sizes and disciplines. Is Paleo right for you? It is always right if the shoe fits. Ask your qualified practitioner if you are a candidate for Paleo. One thing to remember is that the Stone Age individuals exercised daily and you should add this to the program as well. And finally read up on this so that you can be as informed as possible. My best in choice is Practical Guide to Paleo, Diane Sanfilippo, BS, NC. Not really Cool and Hip but it really makes it easy to understand. All the lean meat and seafood you can eat. Beef, bison, boar, buffalo, chicken, duck, eggs, game, goat, goose, lamb, mutton, ostrich, pork, quail, rabbit, squab, turkey, veal, venison, catfish, carp, clams, grouper, halibut, herring, lobster, mackerel, mahi-mahi, mussels, oysters, prawns salmon, sardines, scallops, shrimp, snails, snapper, swordfish, trout, tuna. Artichokes*, asparagus*, arugula, bamboo shoots, beets, bok choy, broccoli*, Brussels sprouts*, cabbage*, carrots, cassava, cauliflower*, celery, chard, collard greens*, cucumbers, doikon, dandelion greens, eggplant, endive, fennel*, garlic*, green beans, green onions*, jicama*, kale, kohirabi, leeks*, lettuce, lotus roots, mushrooms*, okra*, onions*, parsley, parsnips, peppers*, purslane, radicchio, radishes, rapini, rutabagas, seaweed, shallots*, snap peas, spinach*, squash, sugar snaps, sun chokes*, sweet potatoes, taro, tomatillos, tomatoes, turnip greens, turnips, watercress, yams, yucca. Apples*, apricots*, avocados*, bananas, blackberries*, blueberries*, cherries*, cranberries, figs*, grapefruit, guavas, kiwis, lemons, limes, lychees*, melons, nectarines*, oranges, papayas, passion fruit, peaches*, pears*, persimmons*, pineapples, plantains, plums*, pomegranates, raspberries, rhubarb, star fruit, strawberries*, tangerines, watermelon*. Anise, annatto, basil, bay leaf, caraway, carob, cardamom, cayenne pepper, celery seed, chervil, chicory*, chili powder, chipotle powder, chives, cilantro, cinnamon, clove ,coriander, cumin, curry, dill, fennel, fenugreek, galangal, garlic, ginger, horseradish*, juniper berry, kaffir lime leaves, lavender, lemongrass, lemon verbena, licorice, mace, Marjoram, mint, mustard, oregano, paprika, parsley, pepper black, peppermint, rosemary, saffron, spearmint, star anise, tarragon, thyme, turmeric, vanilla, wasabi*, za'atar. Almond milk, coconut milk & water, herbal tea, mineral water, water. Kombucha. Organ meats: liver, kidney, heart etc. Fermented Foods: Sauerkraut, carrots, beets, high-quality yogurt, kefir, Kombucha.